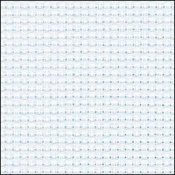 Ice Blue Aida 14, 43 x 1yd, Zweigart  - $33.90 : Yarn Tree, Your wholesale source for cross stitch supplies. Item 8276. Ice Blue (550) Zweigart Aida 14. 100% cotton, 43” wide, 14 count. 1 yard cut. (Zweigart 3706). Please order by Yarn Tree’s item number. Close in shade to DMC 775. This fabric is also available in longer cuts in yard increments or by the bolt; but please call to special order as you will receive one yard cuts otherwise. [For your reference, Zweigart’s item number and color numbers are in ( )].